When the phone rings and it looks like a familiar number, we're quick to answer. But when you don't recognize the voice on the other end, what happens? More and more its turning out to be a scammer, trying to steal your money. They've already stolen someone else's phone number. If you call back, someone else answers. In some cases, those phone numbers actually belong to unsuspecting Western New Yorkers. 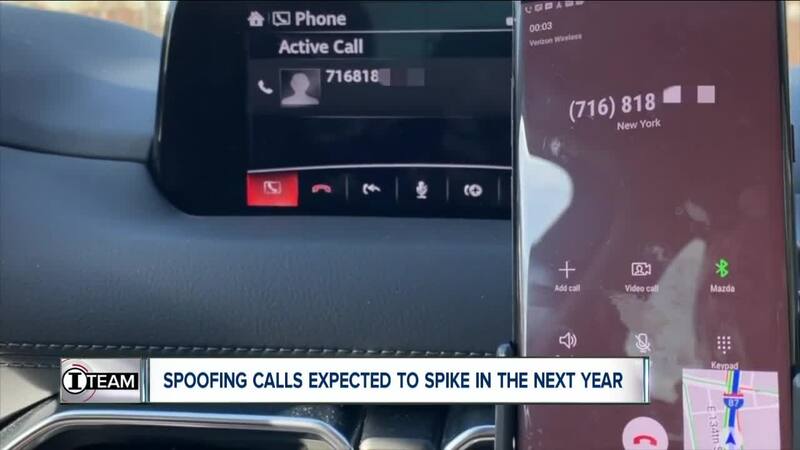 BUFFALO, N.Y (WKBW) — When the phone rings and it looks like a familiar number, we're quick to answer. But when you don't recognize the voice on the other end, what happens? More and more its turning out to be a scammer, trying to steal your money. They've already stolen someone else's phone number. If you call back, someone else answers. In some cases, those phone numbers actually belong to unsuspecting Western New Yorkers. Their phone numbers were spoofed. It happened to Kimo Brandon. The difference is, Brandon owns a small business. "I blew it off, but a few days later I started getting a couple more telephone calls from people, [saying] 'hey this number just called me.' We didn't call you," Brandon said. He owns Sugarbush Armory, tucked away in the rolling hills of Attica. Some people who got those calls were not happy. "It's absolutely annoying for the person receiving it, but it's also frustrating for the business owner who is getting their phone number spoofed. People are making phone calls and misrepresenting you. That's a concern for me as a business owner," Brandon said. 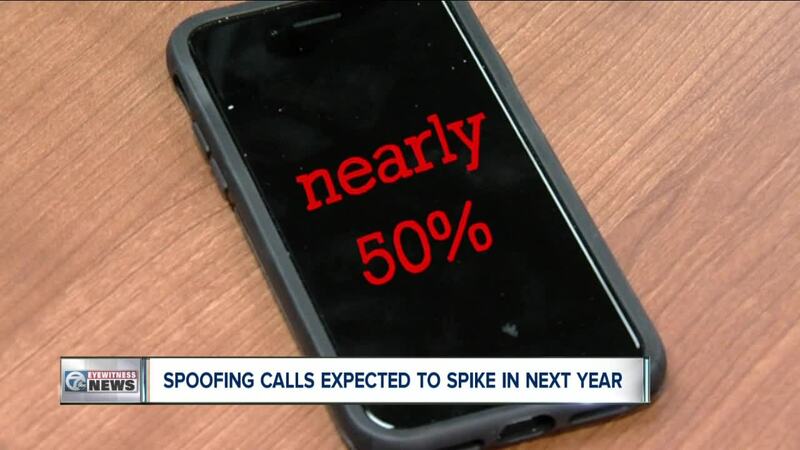 What's worse, in the coming year, industry insiders are expecting nearly half of all cell phone calls will be scams. "It's ridiculous. If the technology exists to spoof the number, the technology has to exist to block it," Brandon said. Lawmakers say, cell phone carriers can tell what call is real and what is a spoof -- and block it. Thing is, they say carriers aren't using any of their own technology, because of possible legal action and regulation that stops them. "Federal controls a lot of this, so I'm just trying to do anything we can on the state level," Senator Chris Jacobs said. Jacobs is trying to get legislation passed, statewide, removing the chains from cell phone carriers. He wants to stop robo and spoofed calls before they even get to you. He thinks this legislation will be handled outside of state budget negotiations. He expects this to pass this year. "A lot of people say, 'oh, I like to play with them,'" said Melanie McGovern, from the Better Business Bureau of Upstate New York. "That's the worst thing you can do, because they're going to keep on calling you." McGovern says these scammers and spoofers will just pass your number along when you answer. They know they've got a live person to lure in. "When you pick up that phone, there's automated pick ups like a voicemail-- or a prompt system like, press 1 for an attendant, things like that. If you pick up that phone and say press 8 to opt out, you press 8, they know you're a real person. They're going to keep calling you," McGovern said. The phone companies couldn't give Brandon, the business owner, a firm idea of where these calls were coming from. Jacobs says these spoof and robo calls are originating overseas. Now he's preparing for what's ahead. "Obviously they're making money on this, people are picking up the phone in whatever scam they're trying to do. It's is working and it's lucrative enough that they're going to find another way to do it," Jacobs said. Some telecommunications companies are teaming up with third-party companies, to help block calls and put them in context for you. AT&T has teamed up with Hiya to battle robocalls and spoofs. T-Mobile has teamed up with First Orion , with PrivacyStar. You can download it for Apple or Android devices.